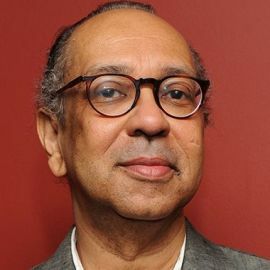 Tony Nominated Director, Known for "Lucky Guy" and "Shuffle Along"
George C. Wolfe grew up in Frankfort, Kentucky and began to pursue his interest in the dramatic arts while still in grade school. At Frankfort High School, Wolfe directed and performed in several plays and wrote poetry and prose for his high school literary journal. The actor, playwright and director received a BA in Directing from Pomona College in Claremont, California. After graduation, Wolfe taught at the Inner-City Cultural Center in Los Angeles for several years before moving to New York, where he earned his MFA in dramatic writing and musical theater at New York University. Wolfe's first off-Broadway productions, the musical Paradise and the play The Colored Museum, were met with mixed reviews. It wasn't until his 1991 production, Jelly's Last Jam, a musical about jazz musician Jazz Roll Morton, that Wolfe received national notice. Jelly's Last Jam received 11 Tony nominations. Wolfe's first Tony Award came just two years later with Angels in America: Millennium Approaches. From 1993 to 2004, Wolfe served as the Artistic Director and producer for the New York Shakespeare Festival. In 1996, he created the musical Bring in 'Da Noise, Bring in 'Da Funk, a combination of tap and music which earned him his second Tony Award. Although Wolfe made the decision to pursue film direction in 2004, he kept his hand in theater. He directed such plays as Tony Kushner's Caroline, or Change, Suzan-Lori Parks' Pulitzer Prize-winning Topdog/Underdog, and a new translation of Bertolt Brecht's Mother Courage and Her Children, starring Meryl Streep, Kevin Kline and Austin Pendleton. Wolfe's big screen directional debut was Nights in Rodanthe (2008), a romantic drama about a woman who retreats to Rodanthe to escape her chaotic life.